Waves began in October 1992 with the introduction of the first audio plugin, the Q10 Paragraphic equalizer. The Q10 broke new ground in three major areas. First, it was the debut of the audio signal processor plugin, a tool commonly used today. Second, its graphic user interface gave users unprecedented control and eliminated the requirement for a DSP engineering background since it automated the filter coefficient calculations. Finally, the revolutionary Q10 offered sound quality equal to or better than many of its hardware counterparts. Another highlight of Waves’ first decade of success was the development of the L1 Ultramximizer™, which established a new benchmark for dynamic controls. Still considered innovative over a decade later, countless L1s are an integral part of studios all over the world. Propelled by an increasingly comprehensive product line, Waves quickly became a favorite of engineers worldwide and the choice of recognized audio masters. Waves founders Gilad Keren and Meir Shaashua share music as their first love. 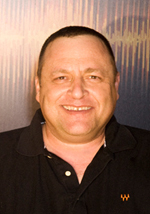 When establishing Waves, Gilad drew upon his experience as an accomplished sound engineer, having recorded and produced hits for major Israeli artists, while Meir had been a musician in successful bands. Both Gilad and Meir pursued engineering study: Meir went to Hebrew University and majored in Physics and Mathematics; Gilad attended Israel’s Technion Institute of Technology and majored in applied Mathematics. They met through a mutual friend at a recording studio in 1982. In 1990 they both worked for a start-up called AudioAnimation. Two years later, Waves Ltd. was formed in Israel and the U.S. simultaneously. In the years since, Waves has grown into the world’s leading developer and supplier of software-based audio signal processing tools, while expanding to meet the demand for Waves processing in hardware-based products. Waves’ current product line has increased to over 60 processors that have been embraced by the audio industry in music production, film, post, and broadcast. In fact, the name Waves itself has become synonymous with top-of-the -line audio processing, and the company’s products are used where superior quality is a pre-requisite: hit records, major motion pictures, and top-selling games worldwide. The Waves mission is to develop and provide solutions that enable unparalleled sonic quality for all audio applications. Underscoring this achievement, Waves award-winning audio processor plugins are now the standard technology for thousands of audio professionals in content creation. These plugins utilize Waves’ proprietary DSP algorithms based on their psycho-acoustic expertise. Psycho-acoustics is the study of the perception of sound. Waves’ Maxx® technologies leverage its expertise in psycho-acoustics to provide custom semiconductor and DSP licensing solutions to consumer audio manufacturers worldwide. These solutions compensate for the acoustic quality limitations from small, power efficient speakers systems found in today’s most popular CE products such as LCD TVs, notebook PCs, portable speaker systems, and mobile phones. Maxx® is already being used by some of the most important audio and consumer electronic firms in the world including Dell, Asus, Altec Lansing, Audio Products International, Clarion, JVC, Microsoft, Samsung, Sanyo and Sony. Waves comprehensive products support over 20 different audio editing environments, both for CPU-based operation and DSP accelerator solutions. With over 150,000 users worldwide, Waves offers the broadest selection as well as the highest quality set of software solutions available. Gilad Keren is co-founder and Chief Executive Officer of Waves Audio, the world’s leading developer of digital signal processing tools, heard on hit records, major motion pictures, and popular video games the world over. Over the past two decades, Gilad has been instrumental in pioneering an entirely new kind of tool, the digital audio plugin, and the company he helped create has gone on to affect every stage of the creative audio process, from recording to mixing to mastering to broadcast, live sound, and beyond. Mr. Keren has always had a passion for great sound. During his last year in the Israeli military, Gilad began working for the legendary Tommy Friedman, a renowned figure in the Israeli recording industry. When a cousin introduced him to (eventual Waves co-founder) Meir Shaashua, the two found a strong common interest: sound, and, more precisely, digital sound. After returning to the Technion (Israel Institute of Technology), Keren began to develop what would become Waves’ first plugin, the Q10, which debuted at the Audio Engineering Society (AES) convention. In the years since, Waves has grown from a two-man operation to a worldwide company with over 150 employees and offices in the U.S., Israel, and China. 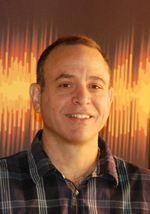 Meir Shaashua is co-founder and Chief Technological Officer of Waves Audio. Since the company’s inception, Mr. Shaashua has been responsible for the development of all products and technologies. Prior to founding the Company, he worked together with Mr. Keren at Audio Animation, where he was responsible for the development of DSP algorithms used at FM radio stations for sound enhancement. Mr. Shaashua was also part of the prestigious Talpiot program in the IDF, serving as a R&D officer for five years and completing his service at the rank of Captain. During his military service he was active in developing DSP algorithms and control software for an experimental radar system, and later served as the head of the RPV section. He holds a B.Sc. in Mathematics and Physics from the Hebrew University of Jerusalem, and also studied at Tel Aviv University's Department of Communication Control and Computers. Among the products created under Shaashua’s direction are over 100 audio processors, which have garnered dozens of awards including 4 Technical Excellence & Creativity Awards for Outstanding Technical Achievement in the category of Signal Processing Technology/Software. In the last five years, Meir once again helped Waves spearhead a revolution in the sound world with groundbreaking vintage models like the SSL 4000 Collection and The API Collection, which made it possible for engineers and artists to unleash the power of the world’s most respected recording consoles, on their computer production systems.